You may own a listed building and be worried about the cost of insuring it. While these properties may have their own unique and historical charms, they can also be troublesome and complicated to maintain. That means finding the right kind of insurance for a listed building can also be really difficult. There are hundreds of thousands of listed buildings in the UK. Listed buildings are distinguished from regular buildings by their special historic significance or from having some kind of national importance. What are listed insurance grades? Northern Ireland and Scotland have their own equivalent bodies for recognising historic buildings but the principles when it comes to insuring a listed building are more or less the same. If you’re not sure if your property qualifies as a listed building try contacting your local council as they should have information on this. If you have a listed building then you may want to consider getting specialist listed buildings insurance. Read on to find out more about what listed buildings insurance covers and why it might work out better for your property than regular buildings insurance. What is listed buildings insurance? Listed buildings insurance is a type of non-standard insurance. It is essentially a type of buildings insurance that focuses on insuring listed buildings. You may be asking, ‘why do I need listed buildings insurance?’ and there are several reasons why you may want to consider it ahead of standard buildings insurance. Non-standard buildings insurance policies cover a range of non-standard building types and properties made with unusual or uncommon materials. For example a building with a thatched roof or a house with exterior walls made from glass or timber. Depending on the state and condition of your listed building property, some buildings insurance companies may not be willing to insure it. Listed buildings are generally very old historical buildings and are likely to require more upkeep than properties built in the last 150 years. Standard buildings insurers will see a listed building as higher risk than the type of buildings they are normally used to insuring. As a result, if they do agree to insure you, you could have higher premiums and less understanding when you make a claim to repair part of your property. This can make things quite difficult, however, a specialist listed buildings insurance company will have experience in dealing with listed buildings, and thus will have better insight into the kinds of risks that come with insuring a listed building. Many listed buildings will have some issues that are simply not as common in most modern buildings such as issues with the drainage, decay, broken tiles and damp. A listed buildings insurer will have better knowledge in dealing with such issues. However, if you do make a claim and the restoration or repair requires some alteration to the building, be sure to get consent first. Listed buildings are often subject to the rules of statutory bodies across the UK. If you change a listed building you could be fined for doing so and then possibly forced to return the building back to its original condition. You should consult one of the following bodies relevant to where your listed building is: Historic England in England, Cadw in Wales, Historic Scotland in Scotland, and the Northern Ireland Environment Agency in Northern Ireland. See below (‘Reduce the risk of making a claim’) for tips on how to lower the likelihood of having issues with your listed building and lower your insurance premiums. What does listed buildings insurance cover? Like most standard buildings insurance companies, listed buildings insurers are likely to offer cover for any damage that occurs to the building’s bricks and mortar. Listed buildings insurance is also likely to cover damage to the structure of the building as a result of fire, floods and storms. 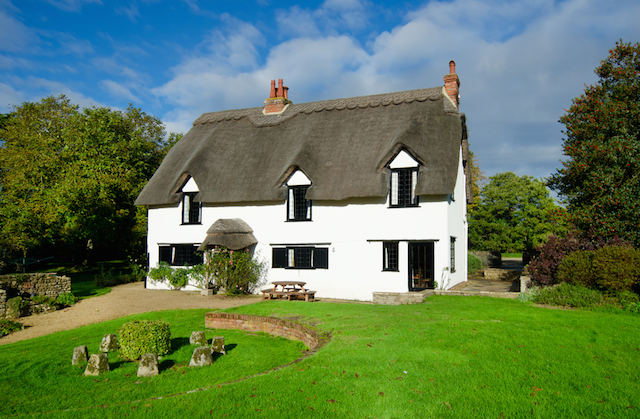 Depending on the level of cover you pay for, listed buildings insurance could also include temporary accommodation for you and your family while your property is being repaired. One area that is unique to listed buildings insurance policies is the use of specialist materials in repairs. If you have a special kind of material that gets damaged in a fire, your listed buildings insurer is likely to help you source or pay for the same type of material to maintain the building’s original character. Some aspects of a building’s restoration or repair might also require specialists to carry it out. Listed buildings insurers will look for experts who specialise in repairing listed buildings rather than providing you with standard workers. To reduce the risk of having to make a claim and having your premiums increase the following year, it makes sense to regularly monitor your building and see where you can easily maintain and repair areas without having to make a claim. This means inspecting your roof and walls for loose or broken tiles and bricks, and any other kind of wear and tear. When checking your brickwork look out for any issues such as plant growth or erosion. And to avoid having to make an expensive claim on fixing the drainage, regularly check your gutters and pipes for any blockages or leaks and cracks. You will also want to avoid having excess moisture inside your property, which could cause damp on the ceilings. If your listed building uses a lot of wood then you could face the problem of rotting wood, and if the wood is used heavily in the structure of the building it could cause significant damage. So try to stay on top of the maintenance of your home and you may never need to make a claim. But each listed building is different and having specialist insurance can be vital in avoiding having to go through the problem of sourcing specialist materials and expert builders and restorers every time there’s a problem.